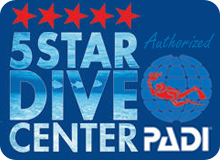 for our most popular PADI scuba classes! Should I Choose PADI eLearning or a Classroom-Based Program? Call the store to discuss your specific situation and one of our professional staff will be happy to assist you in making the best choice for your personal training needs! Our number is 651-482-0977. Click on the blue box to start your PADI eLearning class right now!